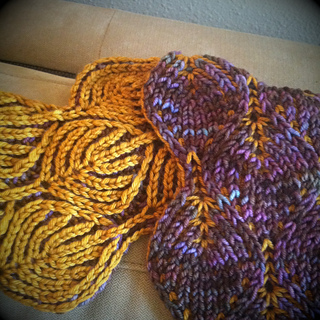 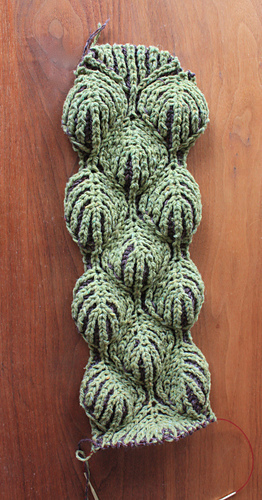 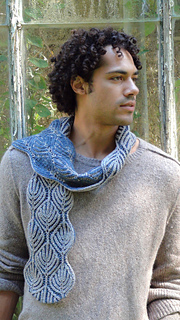 This is the two-color scarf pattern offered with the craftsy.com class Explorations in Brioche Knitting. 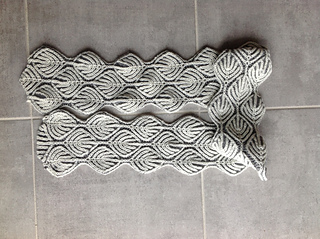 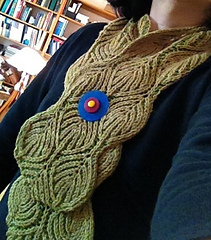 It is a really fun knit with a large learning curve. The Alex Scarf uses a 4 stitch brioche increase and decrease, the 2-color Italian Cast On and Bind Off. 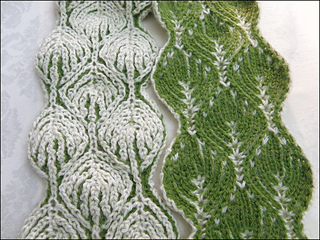 All of these techniques are demonstrated in the lessons.